The experts over at CIO put together a fantastic comparison of the two leading cloud-based business productivity applications on themarket today: Google Apps for Work and Microsoft Office 365. Both Microsoft and Google offer application suites that are available as on-demand, subscription based services that are charge per user. Both companies also offer standard business applications such as word processing, spreadsheets, slide presentations, and enterprise level email. Although Microsoft Office 365 and Google Apps for Work offer similar applications with comparable functionality, the two application suites are not exactly the same. Here we have an in-depth look at some of the major differences between to two systems, so you can make a better informed decision for your business. Office 365 – Microsoft Office 365 has Exchange Online for email, which provides a familiar interface for companies that are used to using an on-premise Exchange server. Exchange Online comes with 50 GB for storage for email. To store Word Documents, Excel Spreadsheets, and PowerPoint Presentations – Microsoft offers 1TB of storage on their cloud-storage platform, OneDrive. Google Apps – Google Apps for Work comes with an enterprise-level version of Gmail (free of ads!). Unlike Office 365, Google shares storage capacities between Gmail and Google Drive. Entry level users get 30 GB of storage. Premium plan users can get up to 1TB of data storage, with an option for unlimited storage for accounts with at least 5 users. Office 365 – While Office 365 offers more storage options than Google Apps for Work (outside of the unlimited option for the Google Apps premium plan), subscription costs are slightly higher than Google. On a month-to-month basis, companies can look to spend between $6 and $15 per user, depending on what level of service they want. On an annual basis, it shakes out to be about $5 to $12.50 per user. 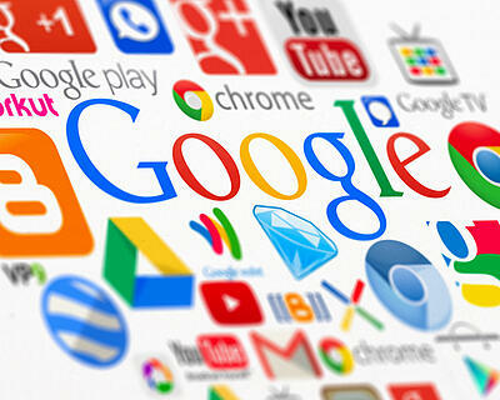 Google Apps – Google slightly outshines Microsoft when it comes to price point. Monthly subscriptions for Google Apps for Work clocks in at either $5 or $10 per user. Yearly subscriptions work out to be $4.17 to $10 per user. For base level service, Google is the less expensive option for subscribers than Microsoft. Yet there isn’t much cost savings at the higher level via annual subscription, whereas Microsoft offers a %23 discount on top-level services on an annual basis. You could get very nitpicky and crunch the numbers of GB in difference between the two platforms. Or you could scour the marginal differences in price between the two applications. But what it really boils down to is the interface. What would your company be more comfortable using? If your company has historically used Microsoft Software, then migrating to Office 365 is the easiest way to switch to cloud applications. Migration is a little time consuming, especially when it comes to migrating the Active Directory from an on-premise Exchange server to the cloud. However, if your business has been using Gmail regularly along with Google Drive for cloud storage, then making the switch to Google Apps for Work would make the most sense in this scenario.